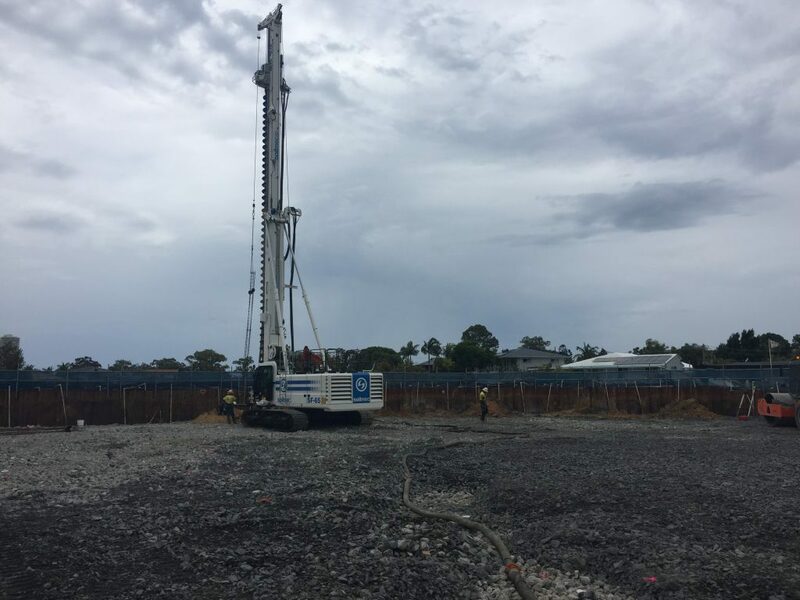 The Marina Shores development at Bigger Waters involved ASP Piling designing and installing sheet piling and foundation piling with sister company Australian Dewatering Systems contracted for site dewatering. Marina Shores has a single level basement with sheet piling used for the external retention as well as for the lift pits and crane base. The cantilevered sheet piles ranged in profile and length from 4 to 8 metres around the site depending on the depth of excavation and soil variations across the site. 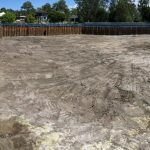 Over 180 lineal metres of sheet piles were used for the external basement wall, with close to an additional 100 lineal metres used for the core and crane base. 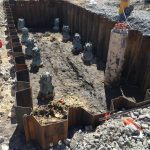 Foundation piling requirements again saw a range of diameters and depths for the reinforced Continuous Flight Auger (CFA) piles according to site, engineering and client design requirements. 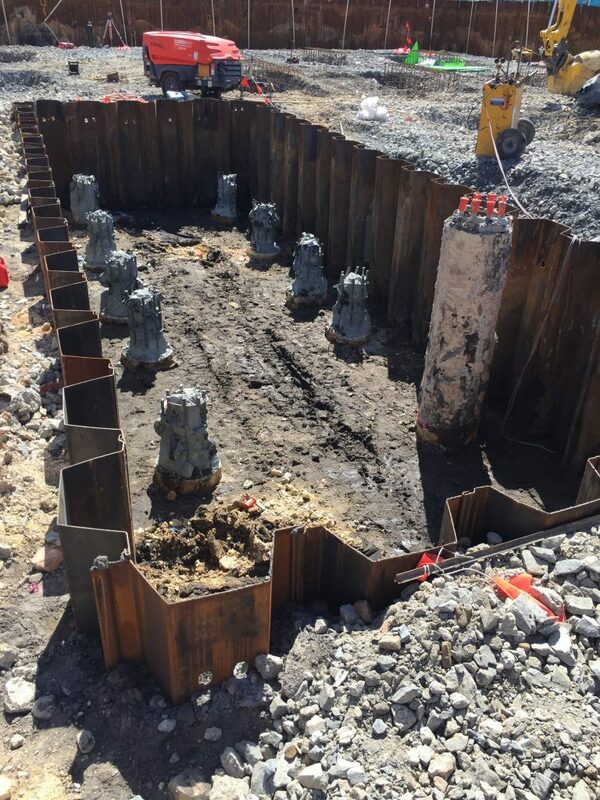 Pile diameter ranged from 450mm to 800mm. 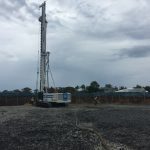 The Soilmec SF-65 rig was used for the installation with a variety of drilling tools, mini excavator, grout pump, compressor, crane and miscellaneous tools. 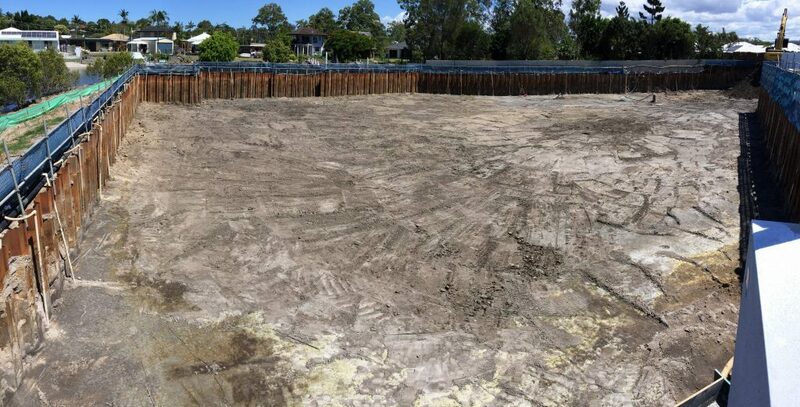 Australian Dewatering Systems were also contracted onsite and utilised an external spear system with additional environmental control using pH and sediment tanks for the discharge water. 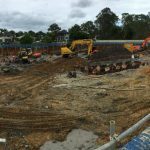 Environmental monitoring was undertaken throughout the dewatering process to ensure all standards were met and exceeded.